This is exciting, that we know. Sourcing these Authentic Cardigans and Sweaters has taken us time and effort, as we are proud to offer the best and most authentic made woollens to be found. How long have you been making Authentic Norwegian Jumpers and Knitwear? Making Norwegian jumpers and knits in Norway since 1927. Proud to be creating a range of Norwegian sweaters and jumpers based on timeless patterns and fulfilling the same important task of keeping Norwegians warm. We are in the same factory as our forefathers; still drawing inspiration from Norway's rich knitting heritage, and still being inspired by the high mountain ranges dropping into the cold seas of Osterfjord in Norway. How Authentic and Genuine are Your Norwegian Cardigans and Jumpers? This can be measured in the Norwegian sheep that produce the wool, the Norwegian wool that creates the knit, the Norwegian hands that knit the jumper, and so on. They are made in the special way, the same as in the good old bygone days. The Norwegian jumper is an old working garment, but it seems to be very popular now with all family members whether its for casual or winter sporting wear. Our Norwegian Sweaters are hand crafted but not hand made. With heavy gauge woollen garments you need to take it in your hands and sew it together. ​"You can't just let a machine do it all". So is it 100% Norwegian Wool? We took the decision with our Norwegian jumpers and Cardigans to use only original Norwegian wool. This wool is strong and durable because the sheep live and breathe the cold mountain air. You will find them in Norway's higher climbs where the silhouettes of clouds and sheep begin to blur. Do they lack the softness of some other knitwear products? Although pure Norwegian wool, which means strong wool from hardy sheep, and are in fact softer than you would imagine. No longer are they the scratchy jumper of years ago from memory, the sole preserve of Dads and lighthouse keepers. collars and cuffs, finishing off with the labels, and of course quality checking each and every Norwegian Sweater that passes through the factory door. So can the authentic Norwegian jumper be said to exist today? Our answer to this is, Does a car have 4 wheels and tyres? Kindly refer to our Size Chart which gives you size measurements. Also on each Garment viewed the sizes are given in our Store pages. Can you wash Norwegian Wool Sweaters? It's best to hand wash in lukewarm water no more than 35°C and ensure that the garment is turned inside out. Using a mild washing powder or liquid, squeeze gently and do not wring out. Do not place in a tumble dryer. Simply lay flat and pull garment into shape if required. Can be pressed using a wool setting. Please do not dry hanging up or in bright sunshine. Wool sweaters can be dry cleaned, but dry cleaning may change the vibrant colours and the softness of the pure wool. Always fold woollen garments when storing away. Do not use hangers to store them. How long will it take for my woollen purchase to be delivered? 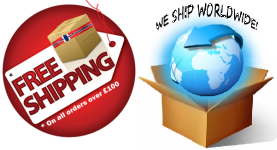 Delivery with Ground Shipping via Norpost no, can take up to 12 to 28 business days worldwide. Delivery with Air Express via UPS usually takes between 3 and 5 business days but is more expensive if you wish your purchase more quickly. Is there anything more to pay on top like sales tax? No, all is included in the final price, unless you wish for express delivery via UPS. Please contact us for the actual cost of delivery to your country. Currently we accept on our website Visa, MasterCard, American Express and Discover. We also accept payments through PayPal, Bank Transfer and Western Union. We do not accept cash or personal cheques towards purchases made on our site, neither do we accept any type or form of C.O.D. (cash on delivery). Is it safe and secure to shop with my credit card or debit card on woolsweaters.org.uk? We strive to maintain a safe and secure environment for our customers to shop online. We are a Secure Site. This means the transit of all credit card information is encrypted and transmitted without risk using a Secure Sockets Layer (SSL) protocol. We send tracking numbers with all orders over £100. If your order value is under £100 and you would prefer to be able to track your order, you can have the option to have it sent to you via our standard registered delivery at a cost of £37 if the total weight is under 1kg. When do I receive confirmation of my order from you? Confirmation of your order is sent directly to your email address within 24 hours of placing your order except on weekends, as there will be a slight delay between the time you place your order and when you receive a notification from us. Please ensure that any confirmation has not gone into your spam folder.